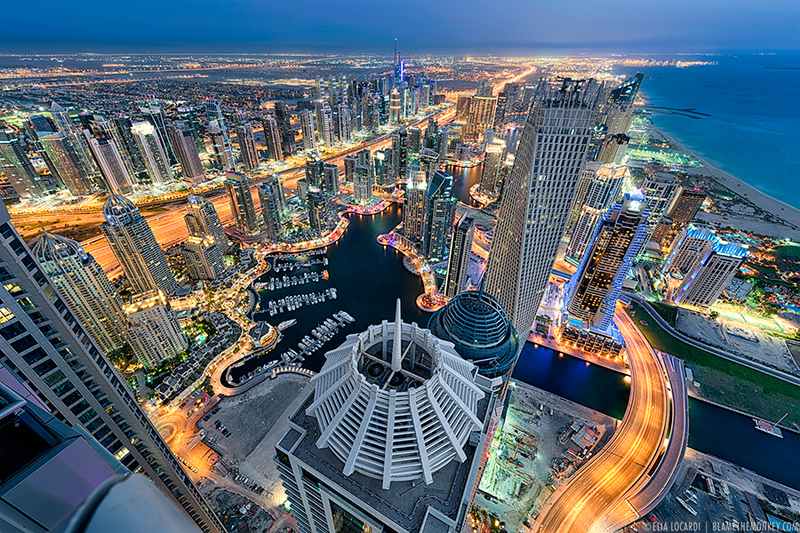 The United Arab Emirates consists of seven Emirates; Abu Dhabi, Dubai, Sharjah, Ajman, Umm al-Qaiwain, Ras al-Khaimah and Fujairah, occupying an area of 83,000 square kilometres along the south-eastern tip of the Arabian Peninsula. Qatar lies to the west, Saudi Arabia to the south and west, and Oman to the north and east. The capital and the largest city of the federation, Abu Dhabi, is located in the emirate of the same name. Before 1971 the emirates were known as the Trucial States or Trucial Oman, in reference to a nineteenth-century truce between Britain and several Arab Sheikhs. The country is rich in oil. Four-fifths of the UAE is desert, yet it is a country of contrasting landscapes, from awe-inspiring sand dunes to rich oases, rocky mountains to fertile plains. 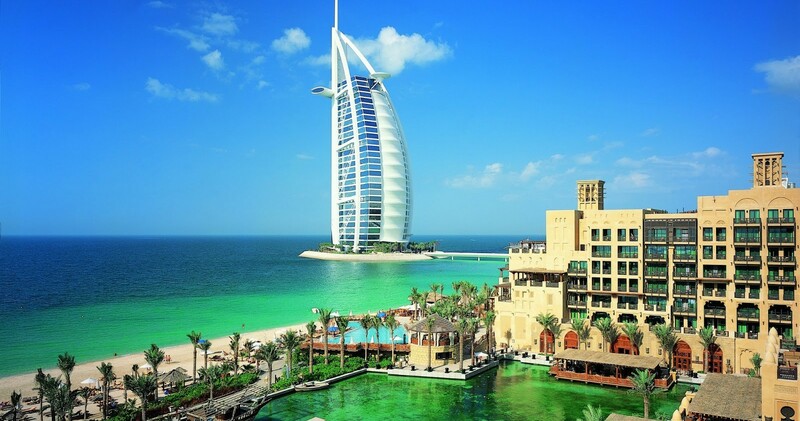 Her convenient location in the Arabian Gulf gives the UAE warm seas and cozy beaches. The sun is always shining on the Emirates with very warm nights in the summer (April-September) cooling to an average of 60 degrees in the winter (October-March). Only 15-20% of the total population of 4.041 million are UAE citizens. Of that, the majority of UAE citizens are Sunni Muslims with a small Shi’a minority. The UAE has a unique blend of traditional Arab, Islamic values and culture with the modernity of a cosmopolitan living environment. Its massive oil wealth is utilized to keep pace with technology and social changes the world is experiencing. Visitors from many parts of the world along with the multi-ethnic resident community have ensured that a sophisticated and innovative food culture has developed in the UAE. Almost any type of food is available and the standard of service is high. You can eat Mexican, Polynesian, Japanese, Chinese, Thai, Korean, Indian, Pakistani, Persian, Italian andFrench, to name but a few, at some of the fi nest restaurants in the Middle East. Popular international fast-food chains are also located in the larger cities. For a more traditional experience, small ethnic cafés and corner stalls seem to appear at every turn. Shisha cafés serve food and soft drinks plus the opportunity to smoke a shisha (hubble-bubble pipe), while corner stalls offer sharwarmas and other sandwiches. Gulf and Middle Eastern food is also available in a wide variety of venues, from expensive restaurants to local cafés. Fresh fish from the Arabian Gulf is always good. Try lobster, crab, shrimp, or grouper, tuna, kingfi sh, red snapper, grilled, stuffed, or fried with spices. Muslims are prohibited from eating pork so it is not included in Arabic menus. Hotels frequently have substitutes such as beef sausages and veal rashers on their breakfast menus. If pork is available, it is clearly labelled as such. Alcohol is generally only served in hotel restaurants and bars (but not in Sharjah). 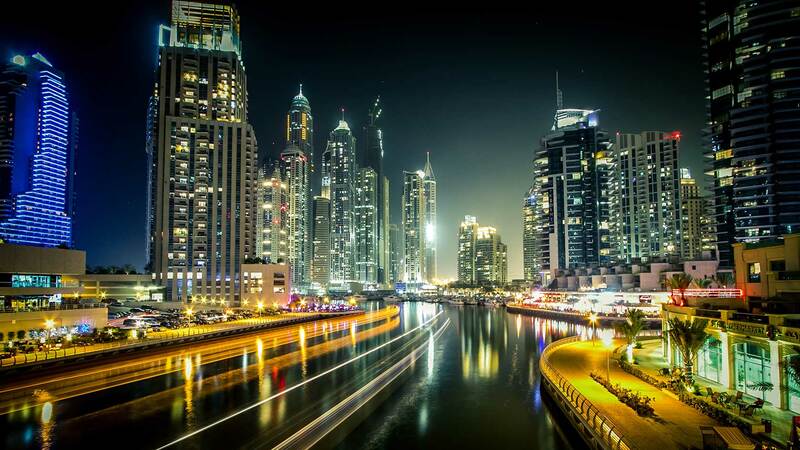 the UAE is a modern country whose state-of-the-art tourist infrastructure ensures its position as the Middle East’s number one tourist destination and one of the world’s fastest growing holiday hot-spots. It has all the right ingredients for an unforgettable holiday; thriving sky-scraper-filled cities, unlimited sun, beautiful beaches, warm sea waters, renowned sporting events, numerous world-class hotels and restaurants, an intriguing traditional culture, friendly, helpful and generous people and a safe and welcoming environment. Oh, and it also makes for the ultimate shopping trip!